Toledo, OH – The Farm Labor Organizing Committee (FLOC) will host a memorial commemorating the life of Santiago Rafael Cruz, a FLOC employee who was assassinated in our offices in Monterrey, Mexico on April 9, 2007. 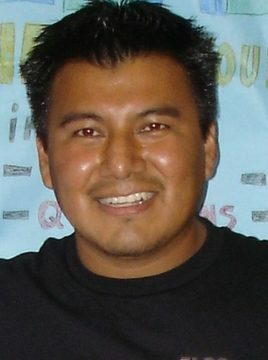 Santiago was assassinated for working to stop corruption against agricultural workers seeking employment in the United States on the H2A Guest Worker Visa. During the memorial, members of FLOC who knew Santiago will share their testimonies. In addition, Baldemar Velasquez, the President of FLOC, will provide updates on the status of Santiago’s assassination investigation along with Lionel Rivera, a renown human rights lawyer, and also FLOC’s attorney in Mexico, who continues to work on Santiago’s case. FLOC is a union made up of over 10,000 agricultural laborers in the South and Midwest. Since 1967, we have fought for the human rights of our members, other migrant and seasonal workers, our community members, and for immigration reform. Previous Post:Our Organizer Stephen Explains FLOC’s Work in Kentucky and Elsewhere. Listen in! Next Post:FLOC Welcomes Agricultural Farm Workers & Lets Them Know Their Rights!